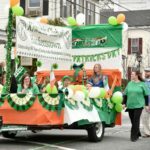 Posted on January 18, 2018 by hackettstownbid wrote in For Attendee's. It has 0 Comment. 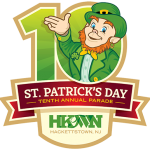 The Hackettstown Business Improvement District kicks off Parade weekend with a Grand Marshal Reception to honor 2019 St. Patrick’s Parade Grand Marshal, Jim Travis. 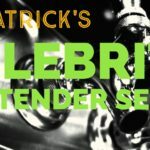 The reception dinner features a live pipes and drums performance and a dance performance by Slattery School of Irish Dance. All are welcome to reserve seating through online ticket purchase at HackettstownBID.com via PayPal, in-person at the BID office, or by phone. Payment will be accepted by check or credit card as well.